Lenovo kept its gaming PC gunpowder dry during Computex 2018, allowing it to fire a full salvo at E3 2018. Six new Lenovo Legion laptops, towers and cubes are on show at E3. The new roster includes the Lenovo Legion Y730 and Y530 Laptops, T730 and T530 towers, and C730 and C530 cubes. All the new devices come with 8th gen Intel Core processors, Nvidia GTX10 graphics, and improved thermals to keep everything ticking along smoothly. These laptops reside in an anodised aluminium shell. The Legion Y730 is available in 17-inch and 15-inch form factors, and the Y530 laptop is 15-inch only. Display bezels are pleasingly minimal at the top and sides, as you can see in the images. While all the display panel choices are 1920 x 1080, the base spec is a 60Hz IPS panel, and the top model offers 144Hz (with G-Sync option on the 17-incher). Buyers of these laptops can choose between the Intel Core i5-8300H or the 6C/12T Core i7-8750H processor. Graphics acceleration comes courtesy of a Nvidia GeForce GTX 1050 or GTX 1050 Ti graphics card. Up to 16GB of (Corsair) DDR4 RAM can be pre-configured. A few advantages come with the higher echelon Y730 model, of course, and I already noted the better top end display available for this machine. 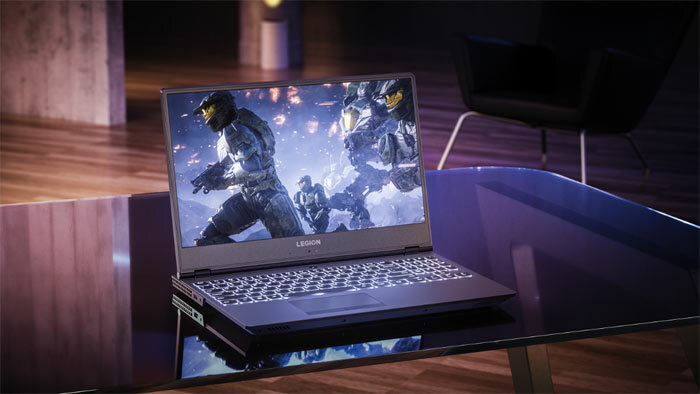 Elsewhere the Y730 is claimed to be the world’s first gaming laptop with Dolby Atmos Speaker System with Dolby Sound Radar. Meanwhile the Y530 supports Dolby Audio. Turning to the appearance of these machines, Lenovo has kept them pleasingly neutral looking in iron-grey or raven black finishes and not over-snazzy logos and so on. white backlit keyboard. "Gamers will no longer have to worry about judgmental eyes in business meetings," it says. Keyboards across the range offer sub 1ms input response times, and the Y530 has a white backlight, while the Y730 is the world’s first gaming laptop with a Corsair iCUE RGB backlit keyboard and system lighting, featuring six custom macro 'Y' keys for added customization of more than 16 million colour combinations. 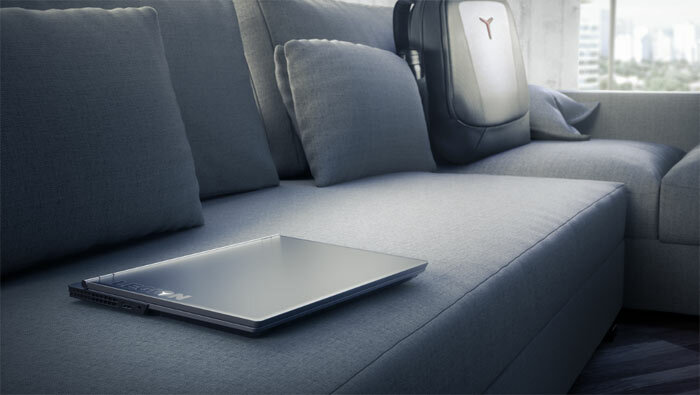 The 17-inch Lenovo Legion Y730 Laptop will start at $1,249.99 and the 15-inch model will start at $1,179.99, both available on www.lenovo.com and select local retailers in September 2018. The 15-inch Lenovo Legion Y530 Laptop will be available starting $929.99 on www.lenovo.com and select local retailers starting in June 2018. The Lenovo Legion T730 and T530 towers a built into 28l chassis, as you can see below. They sport 8th gen Intel Core processors, up to GeForce GTX 1060 graphics, and plenty of memory configuration options. The more expensive T730 model come with up to 32GB DDR4 overclocked Corsair Vengeance memory and up to two 512GB PCIe RAID 0 SSD or 2TB SATA HDD storage plus RGB LED lighting options. The Lenovo Legion T730 has optional Asetek liquid cooling too. Dolby Atmos is present on the new Lenovo Legion towers for great game audio. The towers offer tool-less access for upgrades. The Lenovo Legion T730 tower will be available on www.lenovo.com and select local retailers starting at $929.99 in August 2018. The Lenovo Legion T530 tower will be available on www.lenovo.com and select local retailers starting at $829.99 in August 2018. 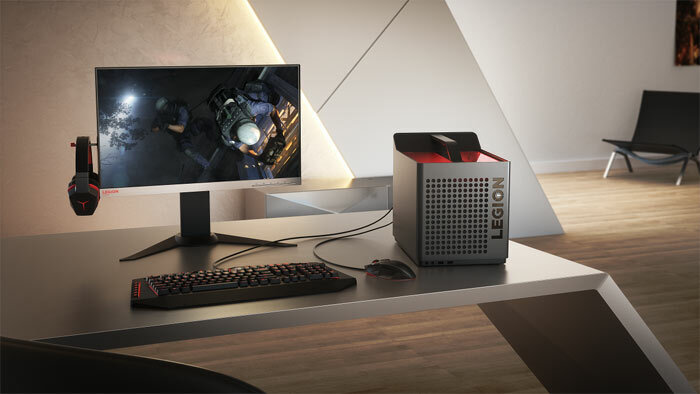 Lenovo describes the new Legion C730 and C530 gaming cubes as "small but mighty". These are 19l capacity chassis in an iron grey finish with integrated top handle for portability. 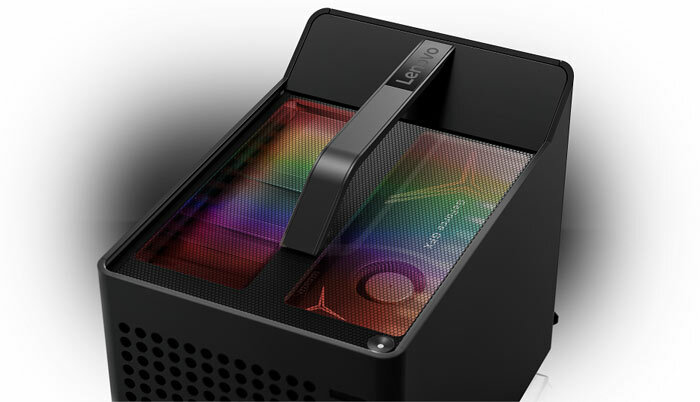 On the topic of appearance, the Cube design lets you peer into your system from above revealing its optional RGB system lighting system and third party made RGB components. Despite the smaller stature the Lenovo Legion C730 and C530 tech specs seem to be very similar to the full sized towers, detailed above. Again the top spec is an 8th Gen Intel Core i7 processor, GTX 1060, and 32GB of Corsair DDR4 RAM. 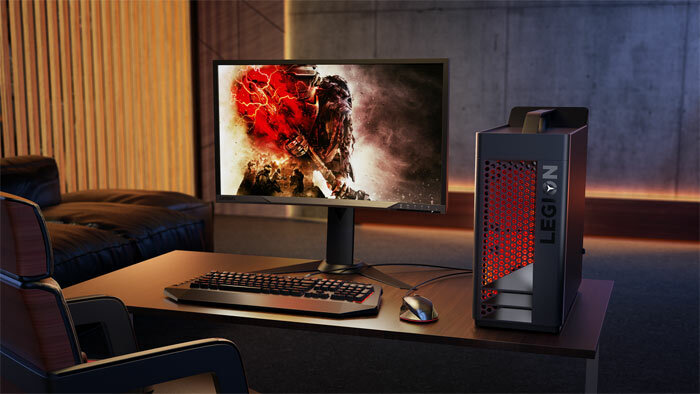 Lenovo can supply matching Legion gaming monitors, surround sound headset, precision keyboard and mouse to complement your gaming setup. Dolby Atmos audio is again present and the biggest non-configurable difference I can find between the standard and premium models is the RGB lighting. The Lenovo Legion C730 cube will be available on www.lenovo.com and select local retailers starting at $929.99 in August 2018. The Lenovo Legion C530 cube will be available on www.lenovo.com and select local retailers starting at $829.99 in August 2018. A new gaming desktop, with a 2 year old mid-range graphics card. Shame as I quite liked the case design with the carry handle. Shame as I quite liked the case design with the carry handle. That's the one thing most decent cases seem to be missing, especially the lovely big ones - Either one handle atop or a pair of them on the ends, Water and rads and pumps and things do bump the weight up more than you'd expect! I'm not sure a 1060 is really mid range, it might be two years old but it's still current gen and hardly lenovo's fault. I'm more dubious about the i7, I too like the case, wonder what the internals are like? It would be nice if the case was sold separately!